The Sylvana Accent Chair, designed by Carolyn Kinder International, features a softly weathered, exposed pine wood frame that is lightly washed in grey. The frame finish blends with the silvery gray, faux leather back and neutral linen seat. 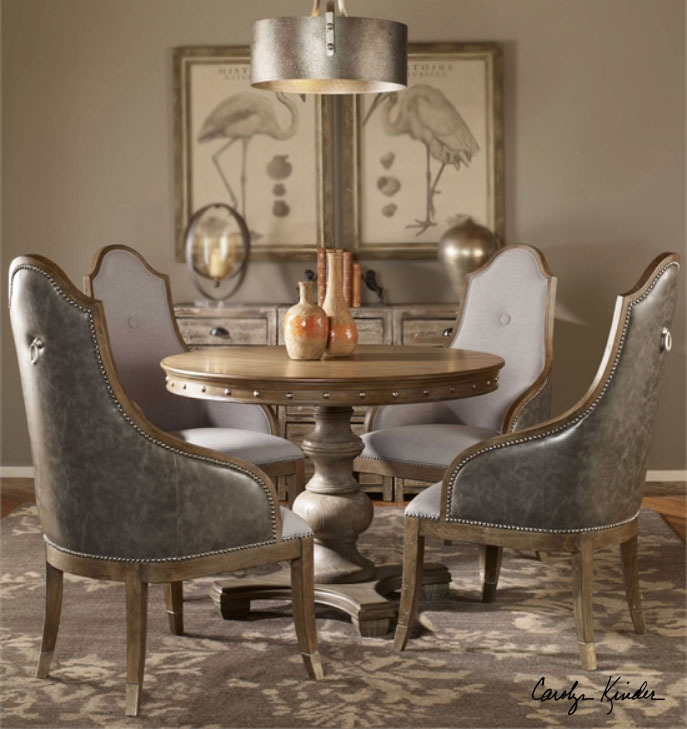 It is beautifully accented with nickel nail trim, metal leg tips and a polished nickel ring pull on the back. The seat height is 18″. Pictured here with the Sylvana Round Table. Available to trade professionals at Uttermost.com. For retail purchase Google search term “Carolyn Kinder Sylvana Accent Chair”.